Application deadline extended to April 8, 2019. 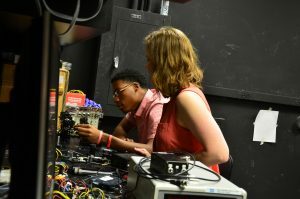 Rising high school juniors and seniors (current 10th-11th grade) are invited to participate in an authentic STEM research experience at a world-class research university for 6 weeks during the summer. 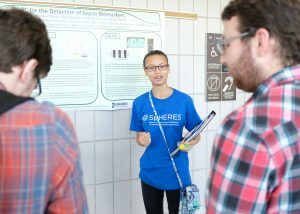 Participants will work full-time in the laboratories of established researchers, gaining hands-on experience in areas at the forefront of various STEM fields; cancer immunology, pharmacogenomics of anticancer agents, physics, biophysics, bioengineering, electrical engineering, computer engineering, experimental cancer therapeutics, cancer disparities, and more! Additionally, students can plan to participate in weekly seminars on various topics including research projects, college readiness and scientific communication. The ultimate goal of this program is to make students feel comfortable in a university setting, form a science identity and build confidence. In order to ensure our young scholar’s success in our program, our program consists of multiple layers of mentorship. Young scholars will have a chance to interact with faculty, post doctoral researchers, graduate students, undergraduate students and local high school teachers as they journey through their STEM research adventure at the U of I. At the end of their 6-week adventure, our young scholars will have the opportunity to present a poster and discuss the science research they learned. Students will also receive a (taxable) $2000 stipend for their work. This is a non-residential program for students who can travel to and from campus on a daily basis (Monday-Friday from 9:00 a.m. to 5:00 p.m.). City bus passes will be provided. 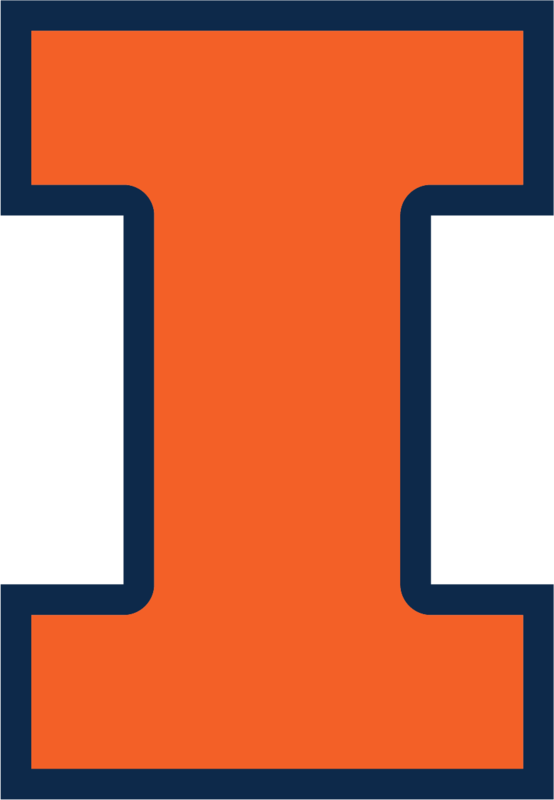 New labs are joining this program from across Illinois Engineering departments, so even if you don’t see the area of engineering you are most interested in listed here, be sure to apply anyway. We will use your personal statement to match you to a best-fit lab. The Alleyne Research Group focuses on dynamic modeling of complex systems as well as development and implementation of advanced control algorithms on a number of different testbeds. As vehicle electrification increases, thermal management becomes increasingly important. To study the challenges imposed by increasing power and thermal demands, we developed a fluid-based experimental testbed that emulates features of vehicle thermal management systems. This hands-on project will modify a stock on/off solenoid valve so that it can be operated at intermediate positions between on and off and will allow the Young Scholar and teacher to explore multiple areas of study including; mechanical and circuit design, computer programming and mathematical modeling. Nanostructures such as semiconductor quantum dots are collections of hundreds of atoms and can behave like an individual enlarged atom. These nanostructures exhibit electronic states that resemble the typical s and p atomic orbitals which can be imaged by a technique we use known as single-molecule absorption scanning tunneling microscopy (SMA-STM). At UIUC we use SMA-STM to observe the excited state structures and intra/inter-molecular dynamics of nanomaterials relevant to a wide variety of scientific subdisciplines. Our Young Scholar will assist with imaging and analysis of excited quantum dots and nanomaterials using SMA-STM. We will also modify our system by adding laser alignment automation using an Arduino microcontroller system. Development of micro fluidic devices for analysis of cells and proteins from blood. The student will learn to make microfluidic PDMS devices and apply these devices for analysis of proteins and cells that are important for diagnosis and stratification of sepsis. Work performed under the guidance of Dr. Enrique Valera in the Rashid Bashir laboratory at Carle Hospital. CISL uses chemical imaging and designed structures to understand molecular compositions and functions in a range of problems. The activities in the group are divided broadly into three categories: theory, modeling, and simulations; instrumentation and analysis algorithms; and applications of the first two to a range of problems, notably in cancer pathology, polymeric systems, and food grain analysis. In cancer pathology, we are interested in developing new imaging technology to use molecular changes in the tumor and its microenvironment for better diagnoses, using an integrated approach termed “systems pathology.” The YS will learn about disease diagnosis using pathology and will be involved in handling and analyzing infrared spectroscopic images. Magnets come about through the combination of quantum mechanics and interactions between the electrons in materials. In this project, the Young Scholar will help perform and analyze many-body simulations of electrons in magnetic materials. By analyzing these simulations, we will understand better how magnets work and how to modify their properties at the atomic scale for new and interesting functionality. Glioblastoma (GBM) is the most common and malignant form of brain cancer in adults, with a median survival time of 12-15 months. GBM tumors present with chemo- and radio-resistance and diffusive invasiveness, making them impossible to completely resect and resulting in high rates of recurrence. Our student will work in the context of glioblastoma, particularly the crosstalk that exists between GBM cells and microglia, the innate immune cells of the brain. Image: GBM from recently published Biomaterials Science Article. The research in Kalsotra laboratory brings together critical ideas in the fields of molecular and developmental biology and offers a robust framework to better understand how, when, and where particular mRNAs are translated into proteins. We are interested in screening for ESRP2 function and localization in human disease. The student’s project will be to conduct Immunofluorescent staining of liver sections and image them for different protein markers in disease. Image Description: LEGO model of a liver. Alternative splicing generates mRNA diversity to support liver development. SpHERES Chemistry and Life Sciences Laboratory: How are Cytokines Involved in Myogenesis? The adult skeletal muscle can regenerate robustly upon injury, but aging and pathological conditions impair this regenerative capacity. Our goal is to understand the molecular mechanisms by which muscle regeneration is regulated, so that potential therapeutic targets can be identified in the future. We use both cell culture (in vitro) and a mouse model (in vivo) to investigate the roles of muscle-secreted cytokines and their signaling pathways in modulating muscle formation. Work performed under the guidance of graduate student, Dongwook Kim in the laboratory of Dr. Jie Chen. This project is inspired by nature’s ability of using lipid materials to guide the perfect organization of light harvesting proteins in plants. In this project we intend to extract energy conversion membranes from natural systems and combine them with artificial materials to generate new nature-inspired light harvesting and storage materials. Specifically, students will be developing strategies to extract light harvesting membranes from spinach and re-assemble them with synthetic lipid and polymer thin films. ATLAS uses collisions of protons and Pb-ions to discover fundamental building blocks of matter and study their interactions. The Zero Degree Calorimeter (ZDC) observes the non-interacting nuclear fragments from Pb-Pb ion collisions. The current ZDC operates at radiation doses beyond the levels tolerable by existing detector technology and requires regular repair. The ATLAS group at UIUC is developing a new calorimeter that can be operated continuously under very high radiation exposure. We tested novel high purity fused silica materials in the LHC tunnel at CERN. The YS will help to characterize the modified optical properties of the quartz samples after irradiation at CERN. The students learned about disease diagnosis using pathology and will be involved in handling and analyzing infrared spectroscopic images. Work performed under the guidance of graduate student, Saumya Tiwari in the laboratory of Dr. Rohit Bhargava. The Standard Model of particle physics has been very successful in explaining the Universe we observe. This theory is not complete as it does not answer fundamental questions such as why there is more matter than anti-matter or where does dark mater come from. We can search for new physics through precision measurements other than using high energy colliders. The electric dipole moment of the neutron is an experiment that is sensitive to new physics at TeV energy scales. nEDM at Oakridge National Lab promises to improve the current sensitivity by two orders of magnitude. At UIUC, we will use modern simulation tools to understand the light collection process and use the simulation to optimize the detector design. We will also build a mock up experimental cell. In the universe, the dominance of matter over anti-matter is thought to have originated at the time of the Big Bang. In the neutron Electric Dipole Moment (nEDM) experiment, we are looking for a tiny echo of the Big Bang in the properties of the neutron. We will begin learning how to make these precision measurements at the Institut Laue Langevin in Grenoble, France, the site of the world’s strongest source of slow neutrons. These measurements require extremely accurate magnetometers which we will work on developing in Urbana this summer. We use computational and analytic techniques to study dynamical problems ranging from the origin of the Moon to the observational appearance of black holes. A key part of these studies is thoroughly understanding simple model fluid flow problems. The Scholar will study a model problem called the Orszag-Tang vortex. They will do this by running codes – in C language on a linux system – developed by the group. They will learn about the underlying physical model, learn how to operate the model, learn how to analyze the output and produce animations from the results. Condensation is a phase change phenomenon encountered in nature and in industry applications including power generation, thermal management, desalination, and environmental control. Experimental setup consists of tube samples with cold water flowing through. The entire system is enclosed within a chamber where vapors of the working fluid are injected. The vapor condenses on the tube samples with the chamber pressure and cooling water temperatures continuously monitored and recorded. The team will be running the experiment cycle with condensation on different tube samples. Scholars will study their own variables/conditions and produce a set of data. They will learn about the two modes of condensation; filmwise and dropwise and will experience high speed imaging.